Great, amazing, fun, mix of natural beauty, human, culture. Walking in Micchu Picchu is a dream to me for years. Day 1 is a perfect setting, a easy walk of 2.5 hours bring us to the high altitude camp site make my team member feel comfortable and confidence for the following days walks. By the way hike to the highland lake after the first lunch made the highlight of the day and following by the wonderful highland dinner. The early morning tee and the hot waters serving every morning made us feel very very good and touched. Variety of scences also made us feel excited. 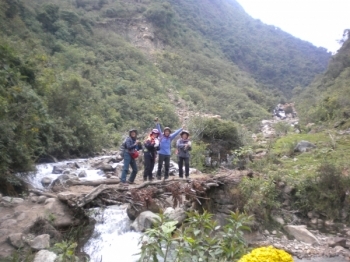 The hot spring after a long trekking also help to release. 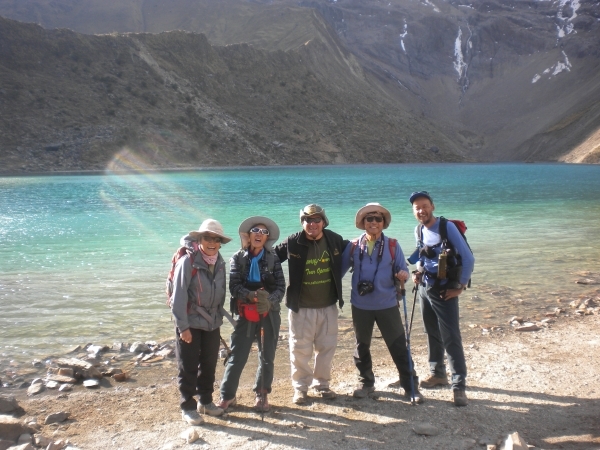 We did enjoy the trekking very much and has no hesitation to recommend my friend.